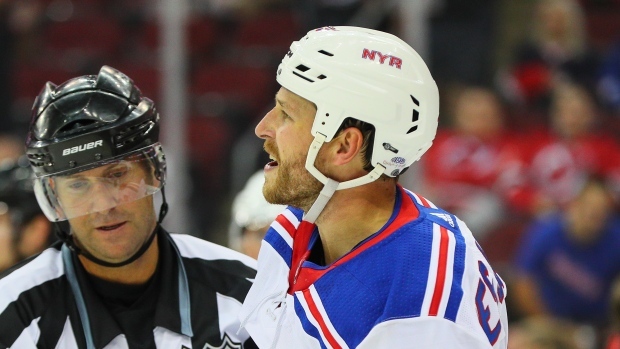 New York Rangers forward Andrew Desjardins has been suspended two preseason games by the NHL Department of Player Safety for an illegal check to the head of New Jersey Devils forward Miles Wood. Desjardins, 31, had one assist over 46 games with the Chicago Blackhawks last season, his third in Chicago and eighth in the NHL. The Canadian signed a professional tryout contract with the Rangers prior to camp.